With the launch of the Forsaken expansion, weapon balance in Destiny 2 has shifted significantly in favor of making players more powerful. When the base game launched a year ago, players had far fewer ways to feel deadly and powerful, no matter which game mode they were playing. That changed with the recent 2.0 patch. 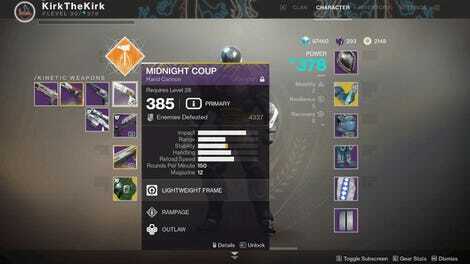 The overwhelming majority of the changes Bungie made to gun damage, ability damage, weapon perks, armor perks, and loadouts have been in favor of making players do more damage, move faster, and kill enemies quicker. Whether you’re using new gear introduced in the expansion or weapons carried over from last year, everything you own is now dramatically more deadly. The question now is: will things stay this way? Here’s a story about a helmet. It’s called the Insurmountable Skullfort. Last night, I finished Forsaken’s campaign and began to plumb the depths of its considerable post-story endgame. In the process I finally “infused” some of my best pre-Forsaken gear, bringing it up to a level that makes it relevant to the new areas and enemies. 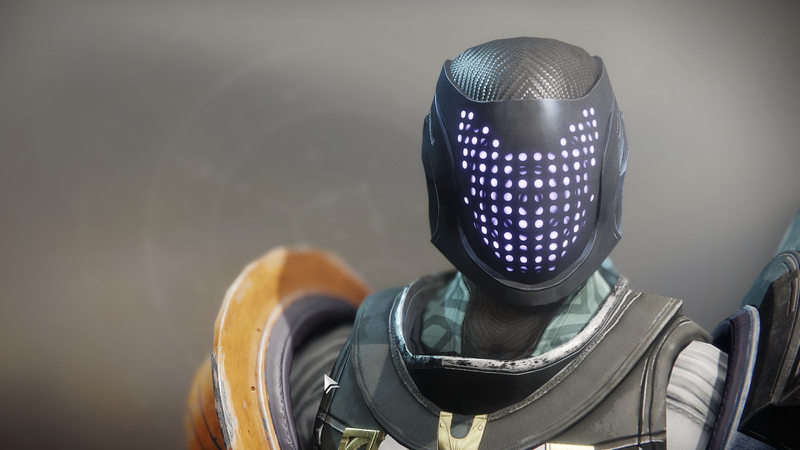 One of the armor pieces I brought up was the Skullfort, an exotic-tier Titan helmet that’s designed to synergize with the Arc Striker subclass. Guess what: it really, really does. To be clear, this is a melee ability, not a super. With the Skullfort equipped, Ballistic Slam is enhanced to the point that it’s dramatically changed how I play the game. The Skullfort has a couple of unique exotic perks that you can’t find on any other armor. If you’re wearing it, killing an enemy with an arc melee ability immediately starts health regeneration, and it also immediately refills your melee ability. That means that, as long as I get at least one kill each time I use Ballistic Slam, I can keep doing more mini-Titan smashes with essentially no cooldown. The result is that I spend most of my time careening around with a shotgun, using Ballistic Slam as my primary mode of attack. The incredible synergy between the Insurmountable Skullfort and the Striker’s melee abilities has led to some of the most fun Destiny playing I can remember. During public events and missions, I’m running around like a maniac, blasting from sky to earth and back again while cackling into my mic. I’m having so much fun that, naturally, my first thought is a fiercely protective one. This is too fun, isn’t it? Bungie is going to nerf this, aren’t they? I can just picture it: in a week or so, players would wake up to a post on the Bungie blog. Among dozens of other bullet-points would be something along the lines of “Ballistic Strike damage radius reduced,” or “Insurmountable Skullfort will now only refresh a portion of melee energy on a kill.” And a million Titan hearts would break, if only just a little bit. Over the years, Destiny players have been conditioned to expect Bungie to act as the fun police, swooping in to nerf overpowered weapons and abilities for the sake of balance. If we’re the kids, throwing toys around the playroom and seeing what mayhem we can cause, then Bungie is the parent, periodically shooing us away, surveying the mess, and setting new ground rules. It’s a thankless task but, of course, a necessary one. If every weapon in Destiny 2 destroyed every enemy with a single hit, the game wouldn’t actually be very fun. If players could output enough damage to end every boss fight before it began, no one would actually get to experience fights as they were designed to be played. If players could kill too quickly in the Crucible, every gunfight would be mostly decided based on who saw whom first. Some form of balance is important for any online game, particularly one with such wild sci-fi weaponry and outsized magical abilities. Must we covet our mighty treasures while we have them, cherishing these fleeting moments when Destiny is so wild, ridiculous, and fun? 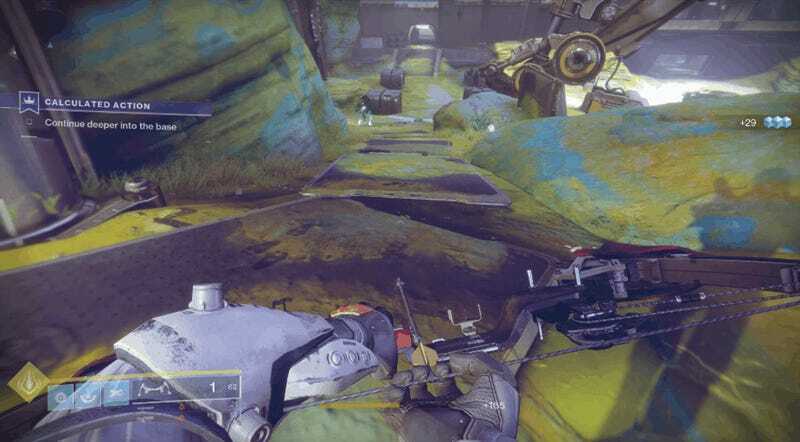 Over the past year, the general consensus among Destiny 2 players has been that Bungie was overzealous in its pursuit of balance. That overzealousness was best exemplified by the studio’s approach to remaking the Crucible as a more grounded, team-oriented affair. At launch, Destiny 2 crucible was unusually well-balanced, but it was also boring. Teams were small, and weapon loadouts were limited. Special abilities didn’t do much damage, and ammunition for the best weapons was scarce. Many players hated it, or at least disliked it. As it turned out, in Destiny 2’s universe of alien laser technology and fantasy space magic, too much balance was boring. A year and a total overhaul later, “boring” is at the bottom of the list of words I’d use to describe Destiny. The question now is, will the developers at Bungie decide they’ve overcorrected? In the next week or month, will these outrageously powerful and entertaining new toys we’ve been using be made a little less powerful, a little less entertaining? The Insurmountable Skullfort is just one of many new or newly improved items in Destiny 2. I’m willing to guess that a number of players are currently having similar revelations about other gear and other abilities. Must we covet our mighty treasures while we have them, cherishing these fleeting moments when Destiny is so wild, ridiculous, and fun? Will this period be fondly remembered as a rambunctious deviation, or is this the new normal? Only time, and a few sets of patch notes, will tell.